TERRE HAUTE, Ind. 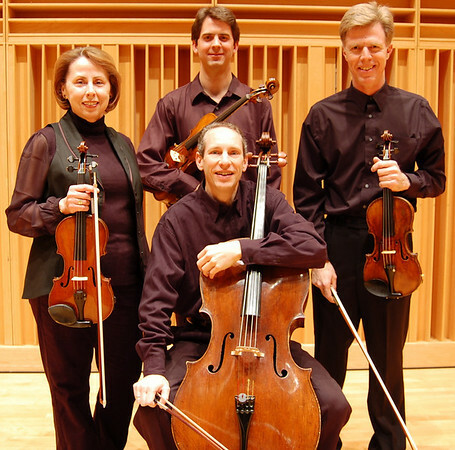 -- The Indiana State University Faculty String Quartet will be performing on Wednesday, Feb. 24, at 7:30 p.m. in the Recital Hall of the Center for Performing and Fine Arts, located at Seventh and Chestnut streets. The first half of the program will include Beethoven's "Op. 18 #5 String Quartet." This early masterpiece is a magnificent example of the unique contribution of Beethoven to the string quartet literature, and it features many characteristics that can be found in his later quartets, including extreme dynamic contrast and unusual rhythmic accents. Pianist Martha Krasnican will join the quartet for the second half of the recital, as the group performs the "Piano Quintet #1 in C Minor" by Ernst von Dohnanyi. This is Dohnanyi's first work, and probably his most well-known and loved. Quartet members include Sharilyn Spicknall, violin; William Davis, violin; Kurt Fowler, cello and Logan Strawn, viola. Strawn is the newest member of the group, having just joined the faculty of the Department of Music in August. A native of North Carolina, he is currently principal violist of the Terre Haute Symphony. The concert is free and open to the public. For more information, contact the ISU Music Department at 812- 237-2771. The Indiana State University Faculty String Quartet will be performing on Wednesday, Feb. 24, at 7:30 p.m. in the Recital Hall of the Center for Performing and Fine Arts, located at Seventh and Chestnut streets.